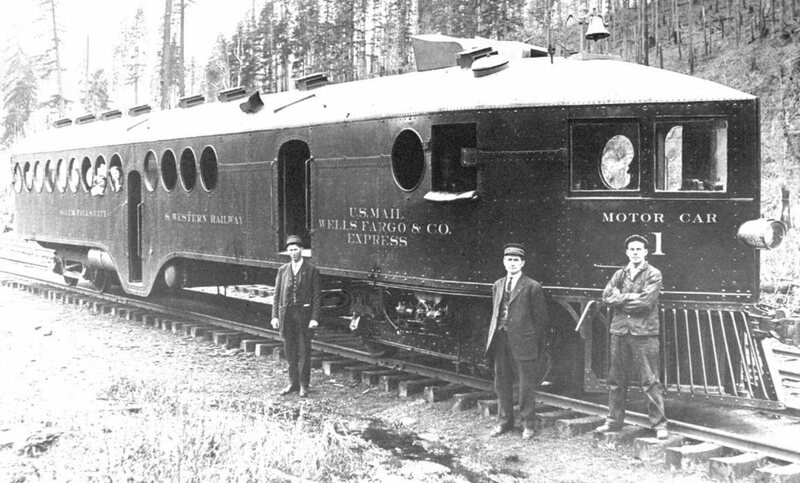 Salem, Falls City and Western Railway | The McKeen Motor Car Website Salem, Falls City and Western Railway | The Compendium of Knowledge on the McKeen Motor Car Company, and their experiments. 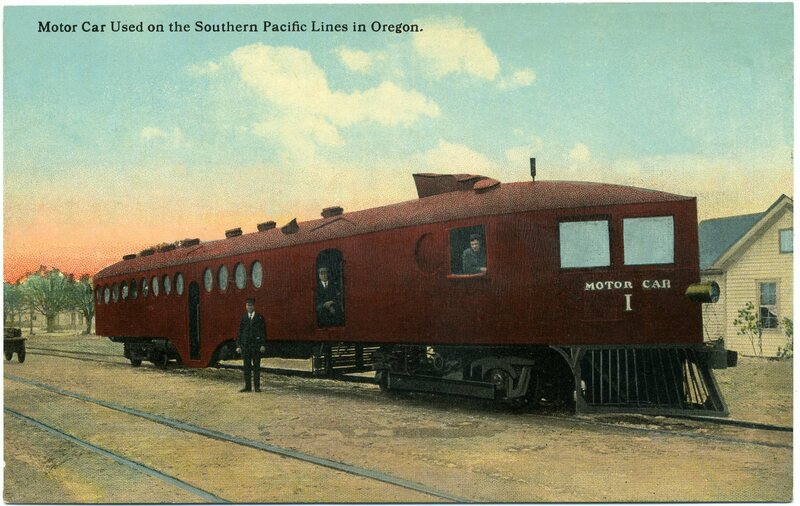 Motor Car #1 of the Salem, Falls City and Western Railway was built in August of 1909, weighted 34 tons, 64 passengers. The Southern Pacific came in control of the S.F.C.&W.Rwy in about 1913, and the railroad was sold on July 1st, 1915 to the S.P. 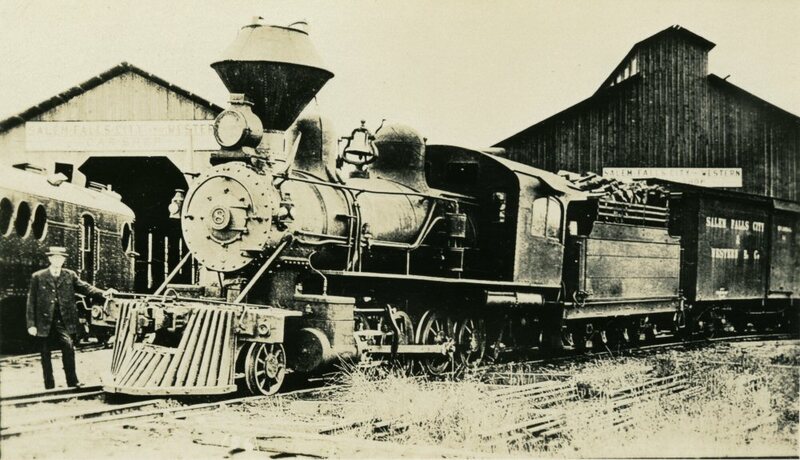 and became Southern Pacific #67, and was finally retired in January of 1934. These two past photos have been of the McKeen Motor Car of the Salem, Falls City & Western Railway near Black Rock as seen in the 1920’s. Black Rock was the western terminus of the Southern Pacific Company branch line west from Dallas. It was on the Little Luckiamute River. It is generally believed the town was named because of an exposed ledge of black shale rock. 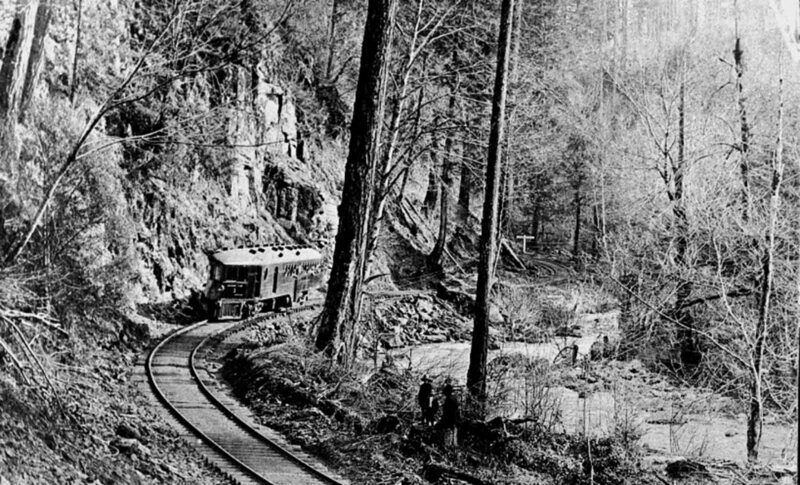 The railroad was torn up after World War II and when the area was visited in 1984, there was little evidence of civilization. Print Courtesy of Madison Kirkman, M.M.C.C.H.S. Here’s a photo of S.F.C.&W.Rwy. #8 next to the Motor Car #1 in front of the Car Shops in Dallas, Oregon. 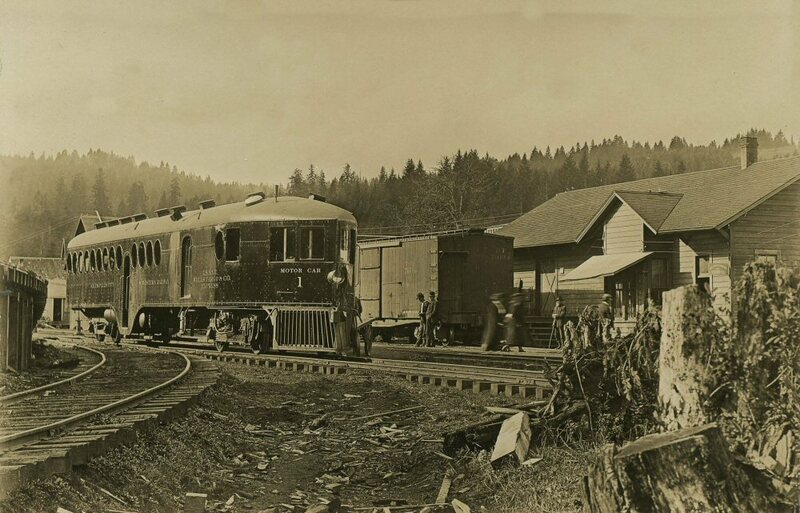 Postcard of Salem Falls City and Western Railroad #1 around 1915 after the Southern Pacific acquired the #1, and would later be renumbered SP #67 in February of 1916, and then later scrapped in January of 1934.